You don’t really need to know the wrenching conditions associated with freezing cold camp nights if you make adequate preparations to stay warm during your camping event. This includes choosing the perfect camping gear. As you will find out, you’re only as warm as your sleeping bag keeps you. If you follow our you’re sure to arrive at the best pick. Sleeping bags are primarily meant to keep the user warm especially during the night when outdoor temperatures can get very low. When not properly controlled low temperatures can make it difficult for one to sleep comfortably at night and ruin your camping experience. Beyond comfort, cold conditions can pose a health risk as the temperature is one of the major determinants of health. Extreme low temperatures can negatively impact one’s health; in severe cases, it can cause frostbite and hypothermia. In a case, if frostbite, cold can cause severe damage to the body cells while in hypothermia is a medical emergency in which the body temperature gets abnormally low due to prolonged exposure to extreme cold. The body can get lower than 95 F in these conditions. These lifesavers called sleeping bags—or mummy bags if you like—are designed to lock up your body heat thereby keeping you warm in a cold environment. 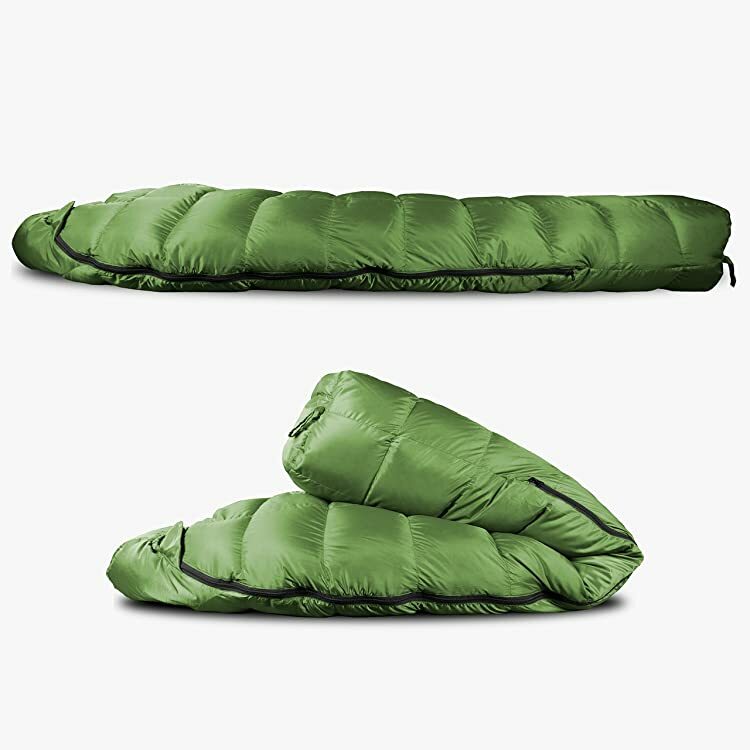 These bags are essentially lightweight beddings made into a tube with a zipper to properly cover the user form the element and cold. Sleeping bags work by the principle of thermal insulation which means that they do not generate heat of their own rather they insulate the person from the cold environment. 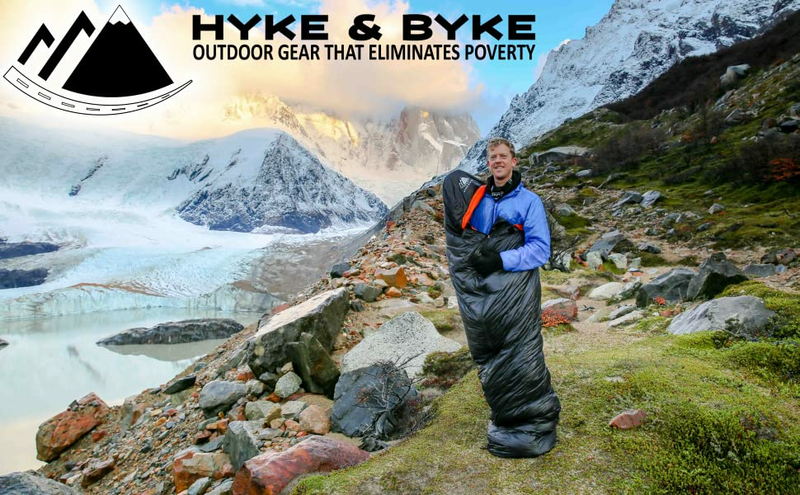 Sleeping bags conserve and distribute heat generated from the user’s body thereby keeping the person warm. Some major parts of a sleeping bag include the insulation material stuffed within layers of cloth. The body of the bag is divided into compartments known as baffles which help control heat transfer within the bag. It has a covering or shell usually made of non-absorbent material or water-resistant coating. 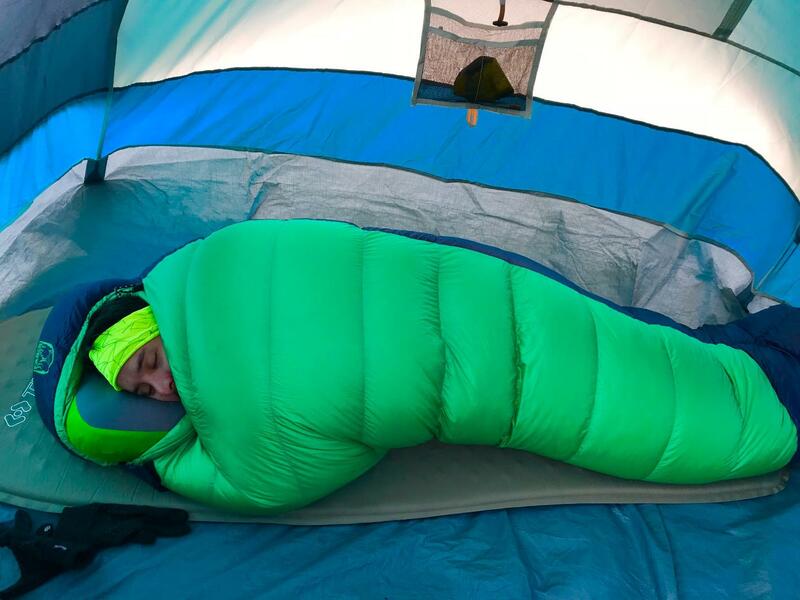 If you’re preparing for camp and expecting extreme cold weather, you definitely want to consider the following when picking out the right sleeping bag. There are different types of insulations materials used in the manufacture of sleeping bags. They can be natural insulation like the down make from duck or goose feathers or synthetic insulation. Each has its advantage over the other. Down insulation are known to provide more warmth (or thermal insulation) than the synthetic insulation when measure by its warmth-to-weight ratio. Synthetic insulation, on the other hand, is known to perform better in wet and humid conditions as they are not easily affected by moisture. Lightweight cold weather sleeping bag tip: Choose down insulation made from duck feather as it has the best warmth-to-weight ratio. The fill power of a sleeping bag insulation is simply that amount of insulation material packed into a unit volume of the bag. This is measured by the ounce of insulation material that fills one cubic inch of the bag. Typically, fill power can range from 450 for the less packed to 900 which provide the most warmth from lighter insulation material. Tip: Choose a bag of at least 800 fill duck down. The fabric of the outer covering of is an equally important factor to consider when choosing a sleeping bag to purchase. Some bags use breathable fabrics while others use waterproof materials. Waterproof materials are good for wet conditions. Extreme Cold Weather Tip: Choose durable water repellent (DWR) coated shells. Sleeping bags come in different shapes although the very common ones are the quilt style and mummy-shaped style. While the quilt style is similar to a down comforter with a zipper, the mummy-shaped hugs around the neck region reducing excess space. As for the size, the smaller the excess space inside the bag, the warmer it will likely be. It is important to choose one that fits you right and allows just enough space to move about in it. Also, ladies will find the female sleeping bags better fitting than the general unisex bags. The best cold weather sleeping bag tip: A mummy-shaped, fitting and slightly heavy sleeping bag with durable zipper is preferable for extreme cold. The weight of a sleeping bag is determined mainly by the type and quantity of insulation material used, and of course the size of the bag. It follows therefore that heavier sleeping bags that use good insulation materials tend to provide more warmth. Good sleeping bags for cold weather tip: Unless you’re on a long hike, choose a quality sleeping bag irrespective of the weight. This is the most important criteria when choosing a sleeping bag. There are 2 well-known rating systems—the seasons rating the European standard rating. Three seasons rated bags are most commonly available. They can be used during the spring and autumn seasons when nights can get very cold but not freezing. During summer, they can be used with the zip slightly opened. One season and two season bags are better suited for warmer nights while the four season bags are designed for cold temperatures of late autumn and spring. 5 season bags are suited for extreme cold and intense snow. Extreme cold weather sleeping tip: Choose a 4 or 5 season bag with a comfort rating of 10 degrees Celsius for extreme cold. What does the temperature rating mean on a sleeping bag? This is the lowest temperature at which a standard man can sleep in the bag for a night, also called comfort rating. This is through thermal insulation created by the insulation materials locked inside the shell. It basically retains the user’s body heat. What is the best winter sleeping bag? The best winter sleeping bag will have a 4-5 season rating, a temperature rating of 10 degrees and ideally, down insulation of 800 and more. If you follow our Extreme Cold Weather Tips you’re sure to arrive at the best pick.